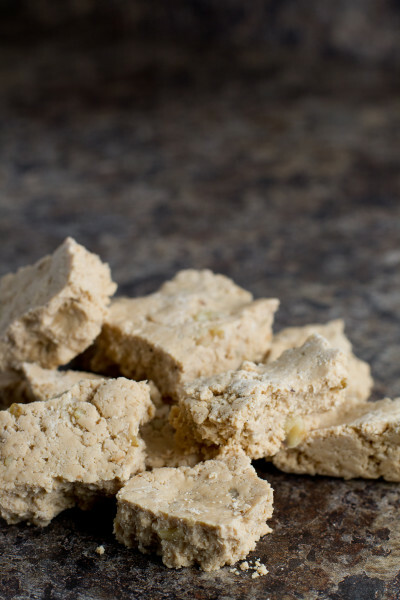 Penuche is a favorite Fall treat. Often spied at fudge stands at the various Fall festivals and fairs, I’ve always associated it with this time of year–even though you can get it year-round at any decent candy store. With no plans to attend any fairs this year, it was up to me to make my own. 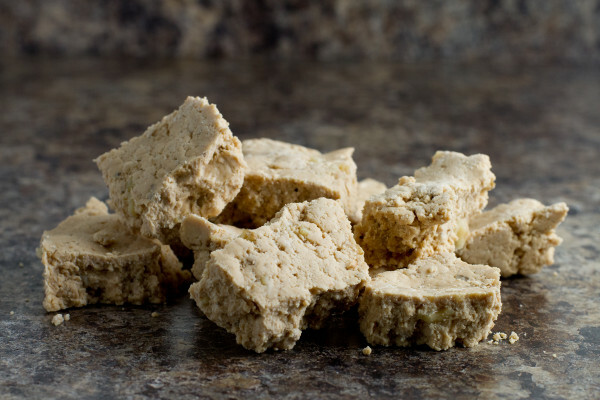 Luckily, that aligned perfectly with #FirstOnTheFirst this month–let’s bring on the brown sugar fudge! I didn’t start my penuche until September 30th. I know I vowed not to wait until the last minute any more, but September had been a difficult month. I still was feeling rudderless and uninspired during most of the month, a horrible emptiness I couldn’t shake. Distractions like youth soccer 3 days a week, birthday parties, and more provided ample opportunities to avoid the mission. Besides, I’ve made sugar syrups before. All you need to do is cook to the right temperature and you should be golden. No worries. 5:30 PM and instead of preparing dinner, I was cooking sugar. I know, we have some priority problems around here. Stir stir stir. Bubble bubble bubble. Once the mixture was ready to cool, the kids were finally able to dine. They didn’t seem to mind waiting–the weather was gorgeous and they were riding their bikes in the driveway anyway. Just as dinner was completed, it was time to stir the penuche. So I stirred. In the mixer. And I stirred. And all was going well. And then it wasn’t. My husband seemed to think it was really funny that I was frustrated and puzzled by my failure. “Things don’t always turn out right the first time,” he assured me. But I was annoyed. The penuche was the right consistency up until I dropped the walnuts into it. Then it turned into crumbs. I let it beat for a couple more minutes, hoping it would somehow recombine–sort of how the whoopie pie filling appears to break before it blends together beautifully–but it was turning into a bigger mess. I dumped it out into the prepared dish and tried to squish it into a block. It sort of cooperated. 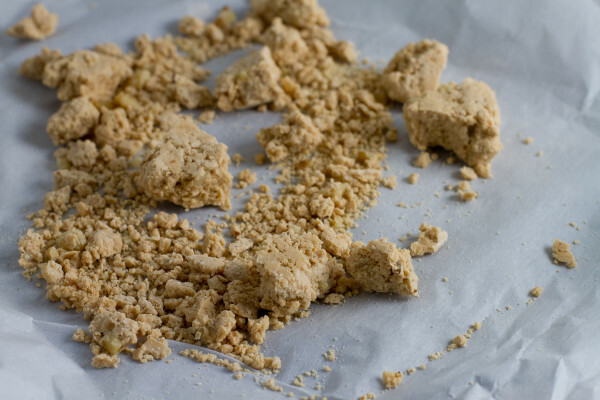 But the damage was done–this was not a proper penuche. Round 2 began around 8 PM, after the kids were sent to bed. I used the last of my milk. I decided to nix the walnuts this time, just in case. I dumped the sugar syrup into the mixing bowl immediately after cooking, figuring it would help later (transferring cooled sugar syrup is a tad messy). When the temperature dropped and it was time to mix, all was going well. I stopped to scrape the sides a couple times and kept going. The fudge was thickening. And then something happened during that last scraping. Immediately after I started the mixer, I knew there was a problem. There it was again–instantaneous transformation from a fluid, caramel texture to a crumbly mess. It seized. And I don’t know why. Moisture is often the culprit for seized candy, though I was careful to use very dry equipment. Over mixing is the most likely cause, though it was glossy and viscous, a gorgeous triumph in candy-making, then BAM. It wasn’t. That’s just the way it goes sometimes with candy, especially when it’s not something you make regularly. If baking is a science, candy-making is rocket science. Alright, maybe not that extreme. But it is far less forgiving. And far more heart breaking. Out of milk and down 4 cups of brown sugar already, I gave up. I really wanted this to work. I don’t like admitting defeat, especially after only 2 rounds. But there are only so many ingredients I can throw away before I decide enough is enough. Success was important to me, but not enough to deplete my baking supplies. I’m on a bit of budget right now, after all. Sigh. Time of death: 10:10 PM. DNR. Others in our group had some difficulties, too. Kate‘s first batch turned to dust like mine. Ruthy’s was a bit runny. Why don’t we let them put into their own words their experiences–and successes, because there were definitely some of those, too! I’m so jealous! Pumpkin Spice Cake with Penuche Frosting by Go Running, Mama! Next month for #FirstOnTheFirst, we’ll be making CHEESE. YES, our very own cheeses! This will be a challenge for me as I need to get to work on this earlier than usual, but I’m looking forward to it. Cheese is one of my favorite foods–might as well call it its own food group. I can’t live without it! If you’d like to join us, click on the #FirstOnTheFirst tab above for more information. We’d love to have you cheese it up with us! I am posting my recipe as I made it. I suspect it’s much like making macarons and I missed the perfect time to stop mixing, leading to my fudge failure. Later I found a piece on the counter where the mixture dripped from my spatula (yeah, I left a mess–I was too disgusted to tackle it right away) and it was the perfect penuche consistency. It was almost enough to inspire me to run to the grocery store and resupply for a 3rd attempt. Almost. It was also midnight on a work night. If you’re able to make this recipe work, I would LOVE to hear about your results! Line a brownie pan with parchment paper and set aside. Butter the sides of a 2-quart heavy-bottomed saucepan. Whisk together the Greek yogurt and whole milk until smooth, then dump into the prepared saucepan. Add the sugars and heat over medium until it comes to a boil, stirring frequently with a silicone spatula. Brush sugar crystals off the sides of the saucepan as needed with a silicone brush dipped in hot water. Once mixture comes to a boil, insert and attach the candy thermometer and select a new silicone spatula to stir with, so as not to reintroduce any sugar crystals that will cause texture issues. Maintain a moderate boil heating over medium to medium-low heat, stirring occasionally. Cook until thermometer reaches soft ball stage (it may be labeled on your candy thermometer but if not, that's around 236-238 degrees Fahrenheit) (this could take 25 minutes or so). Transfer sugar syrup to the bowl of your stand mixer and add to it the butter and vanilla bean paste. Do not stir. Re-insert the candy thermometer. Let it sit until it reaches 110 degrees Fahrenheit (about 40-50 minutes), then remove the thermometer and insert the paddle attachment. Beat on medium-low speed until it lightens in color and thickens. Continue until it becomes very thick. I was advised to mix until it reaches a matte finish, but it was still a tad glossy when it would have been the perfect consistency. Be careful not to over mix! Spread in the prepared pan and refrigerate for 30 minutes before cutting and serving. Make sure the mixer bowl and paddle are bone dry before adding the sugar syrup. You can add ½ cup roughly chopped walnuts when the mixture just starts to thicken, but be careful not to add it too late--it may seize the candy. What’s your favorite kind of fudge? Sorry about the penuche, I’m embarrassed to say I have no idea what it is! I’m jazzed about the cheese making, the only one I make is ricotta, I love making it, it’s so delicious and sooo easy to make. I was really so very surprised by how much of a challenge this ended up being. I truly thought this would be a cinch. Sorry that yours didn’t pan out. I really thought this one would be in the bag when I chose it. See–I still have a lot to learn! I know. I’m terrible. I have a plaque on my desk that says “If it wasn’t for the last minute, nothing would get done.” Guilty as charged! Shoot Carrie; I saw Kate’s and was anxious to see the original version…that brings back some great memories when my Grandma would make it every Christmas. But hey…I live at altitude and I know fail. And trying again…and knowing when to quit. But next month is cheese? I’ve made mozzarella and goat cheese and the goat cheese was both easy and divine. Once you source the milk that is! Better luck next time! I don’t know how anyone bakes at altitude. One of my friends moved to Tahoe from Michigan and she said it’s been quite the challenge adjusting, though she is getting the hang of it now. You ladies are my heroes! Candy-making IS rocket science! lol. I give you credit for trying…twice! I’m sure next month will be a redemptive success. Can’t wait to join you! I’m thinking cheese will be a great recovery for all of us. And I’m putting my candy thermometer away for a while. I have had this happen as well. I agree with the over mixing. I think it would be amazing sprinkled over ice cream! I really wish I had thought of using it that way instead of fretting over my mistake. I made it a 3rd time ON Oct 1st and it still failed. But it was so-so-so close to being right!